As dog lovers, we want to do our best to calm our four-legged friends when they pace, tremble, and pant in fear of non-routine activities. 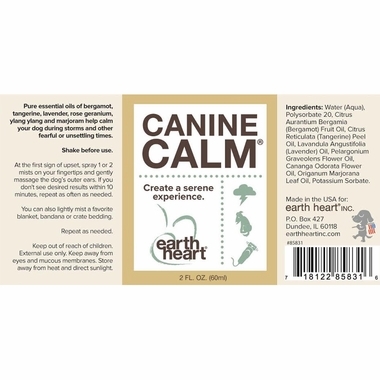 Earth Heart Canine Calm is a safe and effective natural aromatherapy mist that contains pure essential oils of bergamot and lavender to help calm your jittery dog during stressful situations. 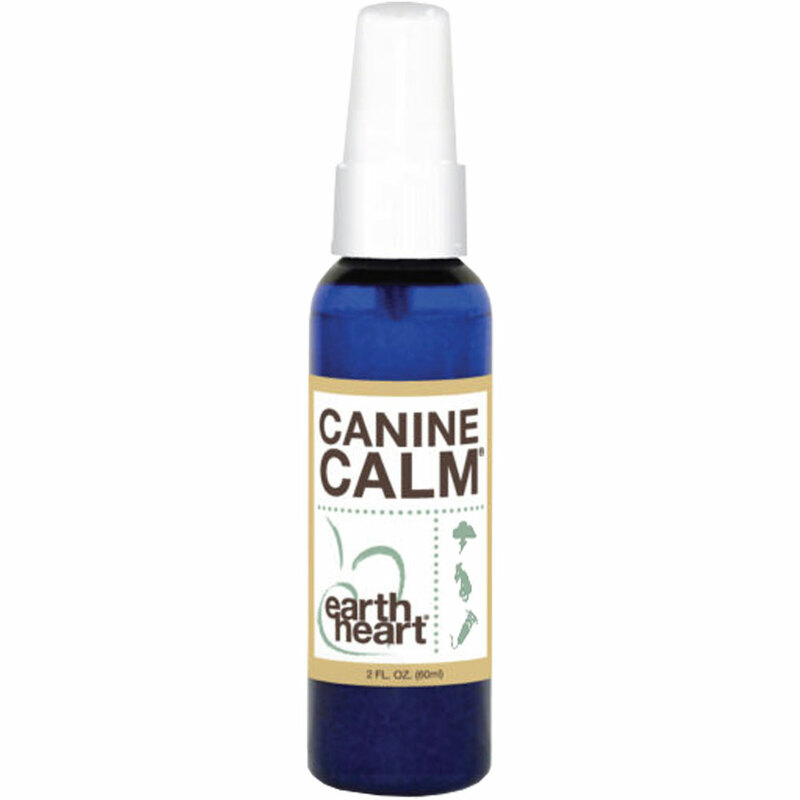 Whether you’re grooming, crating, or visiting the kennel, spray Canine Calm mist to help soothe and relax your jittery dog. 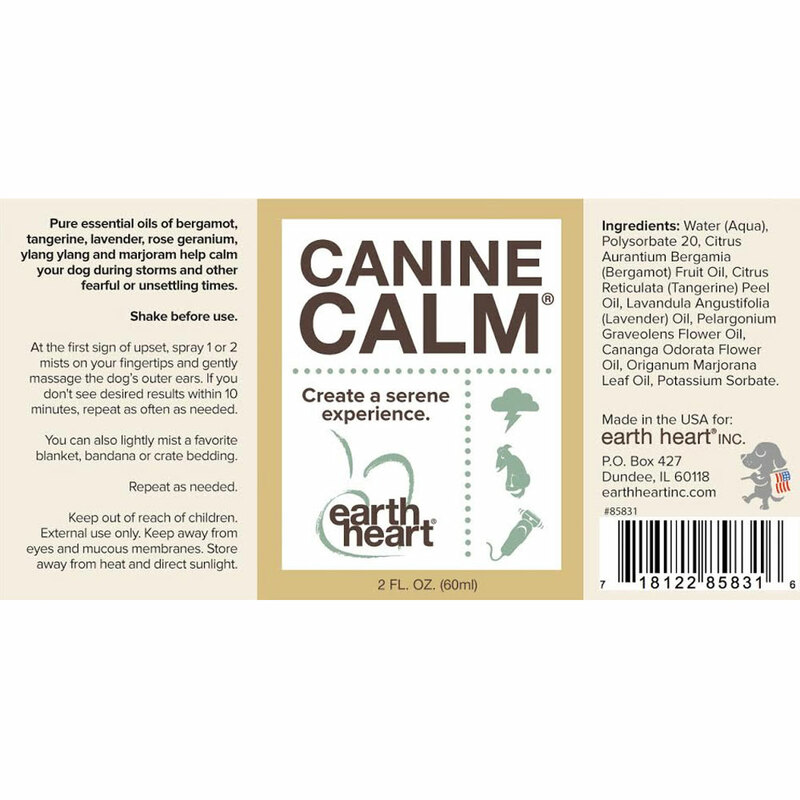 Canine Calm mist can be sprayed directly onto fur, your dog’s favorite blanket or bed without staining or leaving sticky residue. It is packaged in a convenient, BPA-free, recyclable container. Pure essential oils of bergamot (Citrus aurantium bergamia) fruit, tangerine (Citrus reticulata) peel, lavender (Lavandula angustifolia) flowering tops, rose geranium (Pelargonium graveolens) flower, sweet marjoram (Origanum majorana) leaf, and ylang ylang (Cananga odorata) flower in water with polysorbate 20 (emulsifier) and potassium sorbate (preservative). 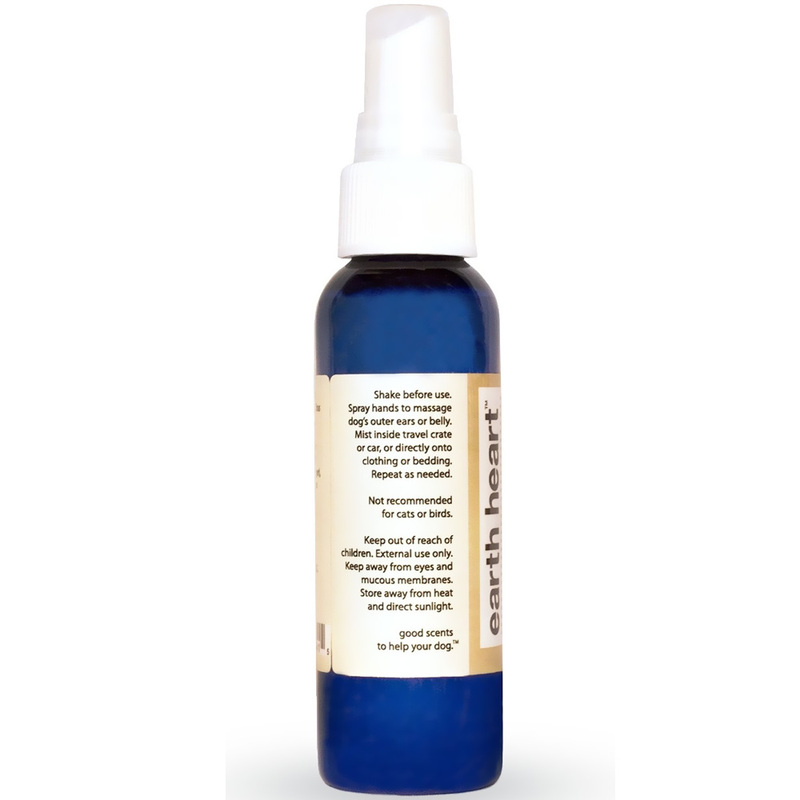 At the first sign of upset, spray 1 or 2 mists on your fingertips and gently massage the dog’s outer ears. If you don't see desired results within 10 minutes, and repeat as often as needed. You can also lightly mist a favorite blanket, bandana or crate bedding. Repeat as needed.